Nurses navigate patients and their families through the most trying times. They constantly monitor patients, run tests, update charts, change IVs, administer medications, provide comfort, and keep patients hopeful through it all. Their commitment, professionalism, and calm dedication keep medical institutions going and give doctors the freedom to treat injuries and illness. A shortage of nurses on a hospital ward can pose worrying implications for administers and patients alike. Yet, according to the Connecticut Hospital Association, the state has been experiencing an alarming shortage of nurses over the last decade. The aging population, aging workforce, and steady incline in cases of chronic disease all drive the need for more nurses. One obvious way to boost the workforce is to inject new nursing graduates. However, the limited capacity of Connecticut’s nursing schools affects the ability to increase supply. As new graduates are readily integrated into hospitals, nursing homes, and other medical institutions, it’s a great time to become a registered nurse. 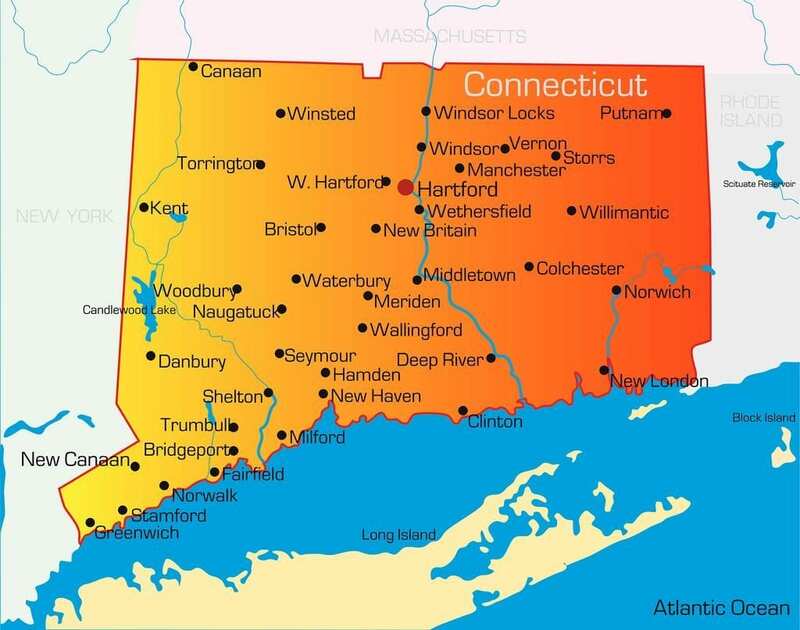 Connecticut’s RNs benefit from an abundance of job opportunities, excellent base salaries, and other attractive incentives. The associate’s degree in nursing program may be completed in two academic years and graduates have the knowledge and skills to work as professional nurses, providing direct care to patients in hospitals, clinics, long-term care facilities, and other institutions where there is a structured role for nurses. Students who successfully complete the program will receive an AS or ADN that will qualify them to take the NCLEX-RN which leads to licensure as a registered nurse. The nursing curriculum involves a planned program of learning that follows a specific sequence. It revolves around current trends in nursing and the health care system so graduates can easily transition into practice, manage patient care, and become a competent member of the patient care team. The courses build progressively; an advisor will outline the course sequence during orientation. First-year courses include basic nursing, general education, science, and other support subjects. During this time, students also develop critical thinking, oral and written communication skills, and learn the principles of ethical practice, which form the foundation for success in practice and future study. At the conclusion of the first year, the curriculum will expand to include advanced nursing courses related to the patient care for infants, children, adults, and the elderly. Clinical practice, conducted under the expert guidance of a registered nurse, is an essential part of the program. The curriculum may or may not be designed in such a way to give students the opportunity to sit the licensure exam to become a licensed practical nurse after the first year. The second year will include more of the nursing courses and opportunities to participate in clinical experiences at community hospitals, nursing homes, and long-term care facilities. Licensed practical nurses, transfer students, and others may be eligible for advanced standing to the second, third, or fourth semester of the program. There a just 8 associate degree in nursing programs in Connecticut. Furthermore, each program accepts a limited number of students yearly, which means that hundreds of qualified applicants are turned away each year. It is important that you reserve a spot to attend an information session to learn the steps required to apply for acceptance. An information packet will include the application form, health requirement form, and details for scheduling an entrance exam. Most programs require TEAS scores for admission. Official high school transcripts and transcripts of any college-level courses. Passing score on the TEAS. Results of a drug screen and TB test. Five out of the eight colleges offering the associate degree are community colleges, which means low tuition and fees and extensive opportunities for financial aid. Help in paying your tuition may be available from federal and state funding, scholarships, and grants designed to grow the nursing workforce in the state. If you plan to apply for financial aid, you must submit your application early. The same principle is in force when applying for grants and scholarships. Pay attention to the deadlines and follow instructions. Scholarship and grant opportunities attract numerous candidates, so it is important to distinguish yourself from the crowd by submitting a timely and completed application. The average cost of completing the degree at a community college is $8,336 for tuition. Nursing students incur additional expenses for clinical supplies, transport, meeting the health and background check requirements, licensure exam, and state registration. According to Section 19a-14 of the Connecticut General Statutes, the Department of Public Health has the authority to determine the eligibility of an applicant for registration and may deny registration to an applicant found guilty of committing acts, which are contrary to public health and safety. Although applications are reviewed independently, if you’re guilty of committing an act that does not conform to the accepted standard of the profession, your application will be delayed as the Department reviews the circumstances surrounding the conviction to make a determination. Factors considered during the review include the nature of the act and it’s relationship to professional practice, when the act was committed, and your rehabilitation. All documents submitted to the DPH must arrive directly from the source – documents submitted by the applicant will be rejected. Make sure to contact the Department via email to monitor the status of your file – the DPH does not routinely inform applicants of missing or incomplete documentation. Licensure by examination is granted to an individual who successfully passes the NCLEX-RN and meet all other requirements as outlined by the DPH. Before submitting an application for licensure by exam, you must register with Pearson Vue for the exam. Submitting your application before registering with Pearson Vue could result in delays in authorizing your request to sit the exam. A completed application – submitted online only. Paper applications will not be accepted. The application fee of $180. The fee covers the cost of determining your eligibility and other administrative functions. It is non-refundable and non-transferrable. An official transcript of your nursing education. It must be mailed to the DPH from the Registrar and include the nursing degree (or diploma) awarded. The program must meet the requirements outlined in the Regulations of Connecticut State Agencies (RSA). Your application will be destroyed after one year if it remains incomplete and inactive during that period. After such time, you must submit a new application and fee to take the licensure exam. The DPH will make a determination after your application is complete. It usually takes approximately three to four weeks to receive notification of your status. Upon approval of your application, you’ll receive written verification of the licensure number and effective date to your address on record. Graduate nurses may receive the privilege to practice temporarily, for a period of 90 days, pending the results of the licensing exam. The graduate nurse must work under supervision during this period. The privilege automatically ceases upon notification of failing the licensure exam. Complete the CGFNS International Certification Program before applying for licensure by exam. NCLEX-RN Registration: Register with Pearson Vue online or by phone 1-866-496-2539 before submitting an application to the DPH. The DPH will deem you eligible to take the exam after verifying your completed application, fee, and nursing education. You will then receive an authorization to test (ATT) letter from Pearson Vue via email or postal mail. It will include information for scheduling a test date. Official results sent to the Department from Pearson Vue will be subsequently sent to candidates via mail. Examination results cannot be issued over the phone. An official transcript of your nursing education. It must be mailed to the DPH from the Registrar and include the nursing degree (or diploma) awarded. If you completed your education under a name that is different from your current name, the nursing program should indicate your current name on the transcript. Verification of all licenses held, current or expired. The appropriate licensing authority should send verification to the DPH. There may be a fee for completing the verification. The Nursys facilitates electronic verification for participating states. Use the system if your state agency can verify your licensure online. If the state does not require successful completion of the NCLEX-RN to issue a license, you must apply for licensure by exam. Canada trained nurses may qualify for endorsement with documentation of educational training and passing the Canadian Registered Nurse Examination (CRNE) in English. The passing score must match Connecticut’s passing standing, which is at least 400 in each section of the CRNE exam. A temporary permit is available to applicants who hold a current, valid registered nurse license issued by another US state or jurisdiction. The non-renewable temporary permit to practice will be valid for 120 days. The permit will be issued within 15 business days of submitting a completed application and fee. Registered nurses must renew their licenses online. You will receive notification of your pending renewal at least 60 days before the expiration date. The notice will contain your username and password for renewing online and the amount due. The renewal fee is currently $110. If you do not receive a notice, you should contact the Department to request a username and password. Currently, there are no continuing education requirements for registered nurses in Connecticut. In September 2015, there were 1,700 nursing vacancies in Connecticut according to the Connecticut Department of Labor. The Connecticut Hospital Association reported that hospitals throughout the state were experiencing vacancy rates of between 6% and 11% – a situation that is expected to worsen in the next decade. Another report, Averting Crisis: Ensuring Healthcare for Future Generations in Connecticut, projected a shortage of 22,400 nurses in Connecticut by 2020. These projections place the state as having the second worst nursing shortage in the US – Alaska is first in line. The CHA recommended a six-point plan to expand the number of nurses, but the shortage of staff is not going to end anytime soon. New graduates can expect to begin working right out of school as they’re needed to meet health care demands brought on by the aging population. Nearly half the nursing workforce is expected to retire by 2020. New graduates must be prepared to fill the gap left by their more experienced counterparts – this means a readiness to learn on the job, embrace further study, and stay committed to patient safety. The annual mean wage for registered nurses in Connecticut is $77,330.